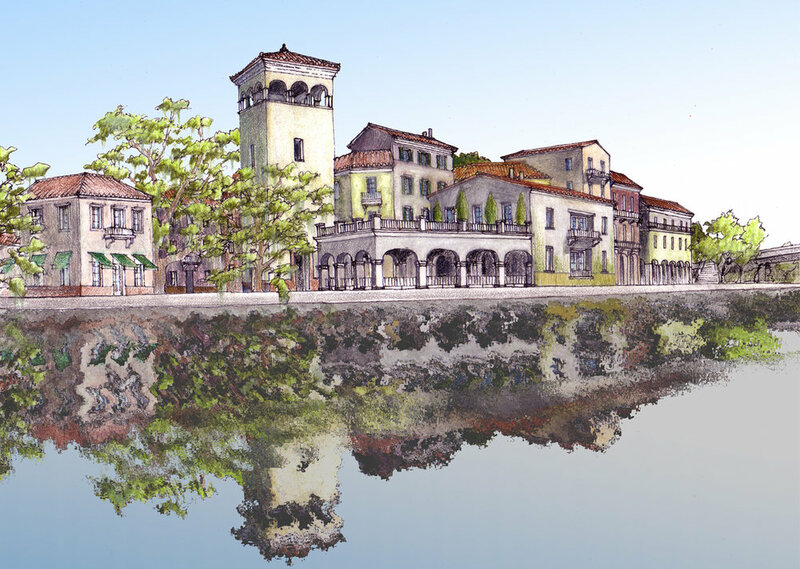 In June 2003, Dover, Kohl & Partners held a visioning workshop for New Port Richey, located in Pasco County, Florida, which led to the design of Main Street Landing as a mixed-use waterfront center. Designed to provide a continuous walking environment from the heart of downtown all the way to the River’s edge, the new walking district will also help to create a resilient downtown economy, one that lies at the center of a densely populated pedestrian shed. Located along a tidal River, Main Street Landing also feels like an extension of the Gulf of Mexico. The bridge running along the property line is a popular spot for launching small recreational boats, and is, in fact, the only way that boaters are able to access the Gulf.